April 2010 | Shirdi Sai Baba Stories in Tamil. Live Experiences Of The Tarkhad Family With Sai Baba-Eating the Skin of Watermelon. Grace On Shibpur Sai Baba Temple . He Saw Baba In Glass. Sai Baba Comes On His Own-Experience By Manisha Bisht. Live Experiences Of The Tarkhad Family With Sai Baba-Disappearance of Moreshwar's asthama. Witnessed Great Miracle After Darshan At Sai Baba Temple Shibpur. Shri Sai Satcharitra In Tamil In Concise Form. 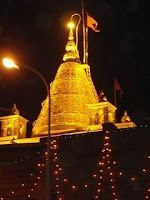 Shibpur Shirdi Sai Baba Temple-100 Years Old Temple-West Bengal. 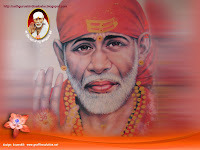 Blessed Fruit of Shirdi Sai Baba. Offering To Baba-Experience By Harini. Live Experiences Of The Tarkhad Family With Sai Baba-Bathing of Lord Shiva by Mega. Sai Amritvani Lyrics In Tamil . Sai Visited Us-Experience By Ashalatha .